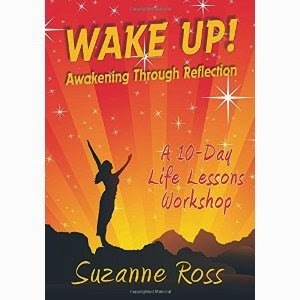 Suzanne Ross's "Wake Up! Awakening Through Reflection" is an inspiring book about finding meaning and purpose. The book, organized as a 10-day workshop, guides the reader on a journey toward finding their true calling. The book is written in a way that is inspiring and empowering while also being practical and easy to understand. It's clear that Ross is an expert on the topic. This is a comprehensive book, even though the workshop is organized in a 10-day time period, that covers everything from reflection to healing to moving forward. If you're looking to approach life with purpose and make changes, you'll enjoy this read. Labels: findign purpose, goal in life, meaning and purpose, purpose in life, suzanne ross, wake up!